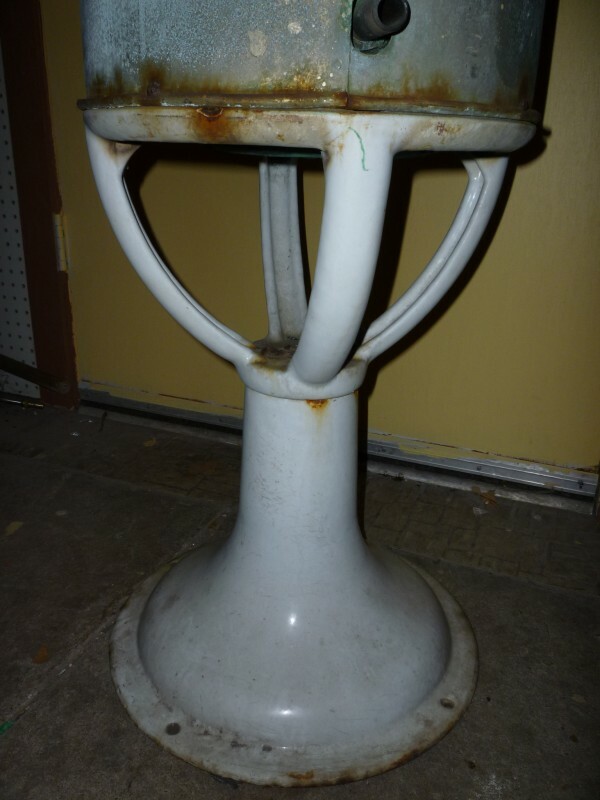 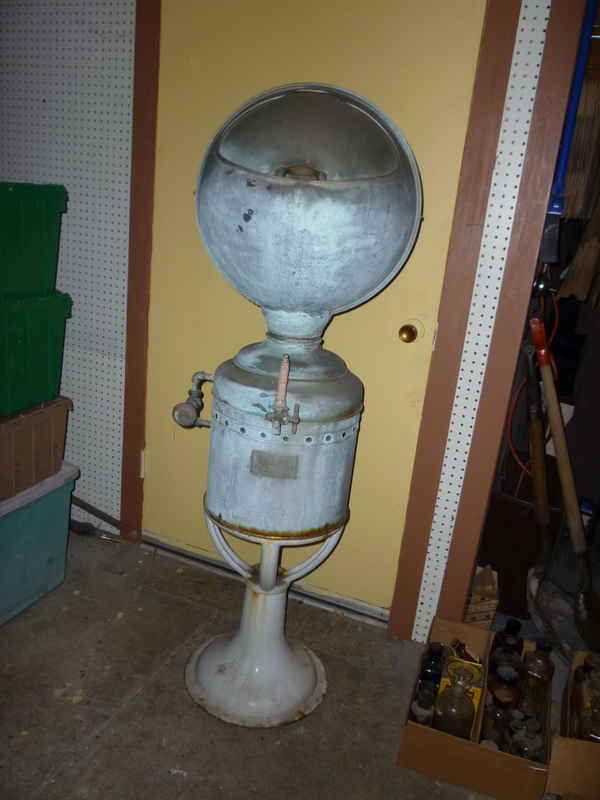 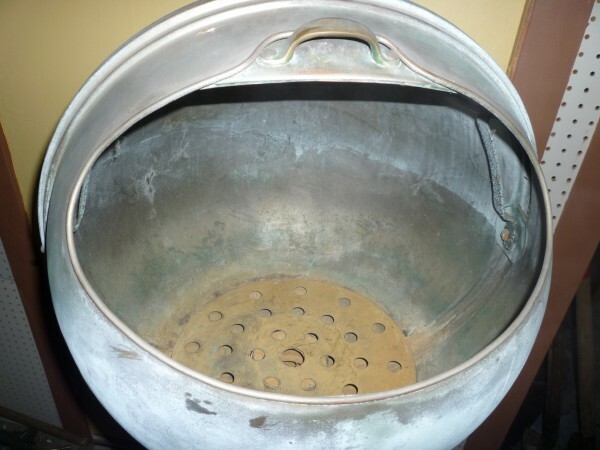 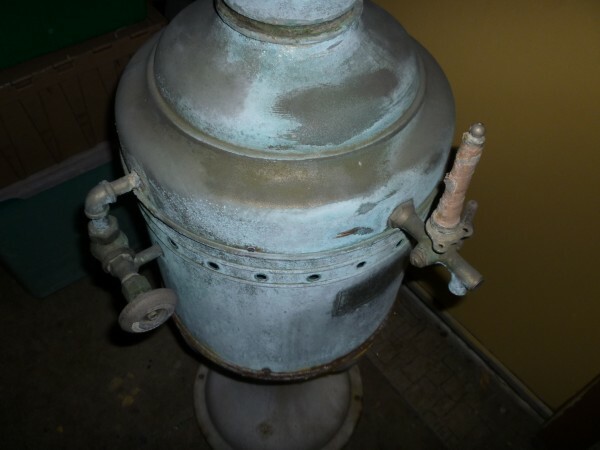 Turn of the century barber shop towel sterilizer. 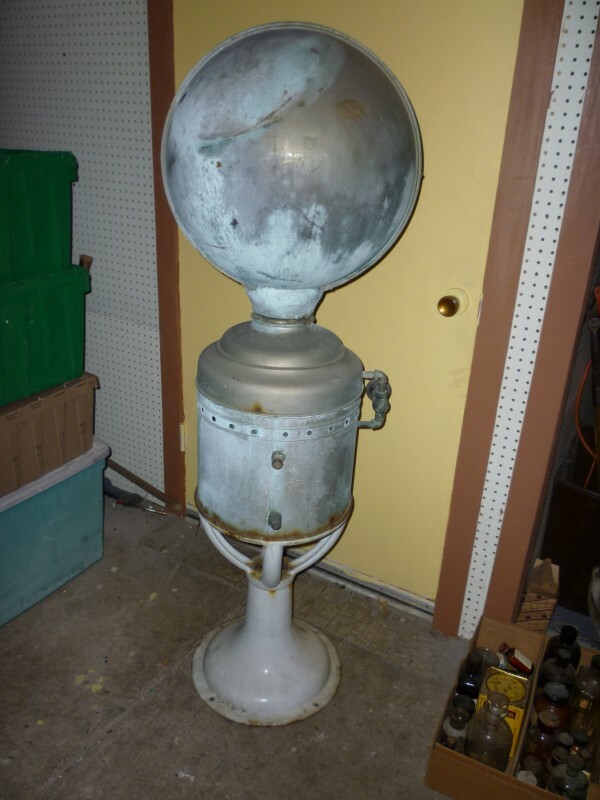 All nickel top, sitting on a cast iron stand with porcelain overlay. 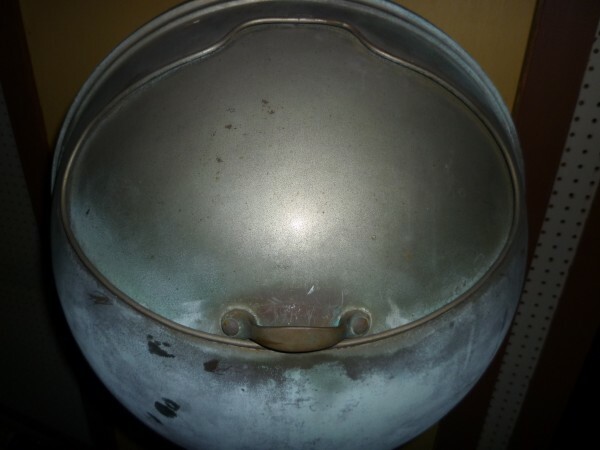 It will pop when cleaned and polished.